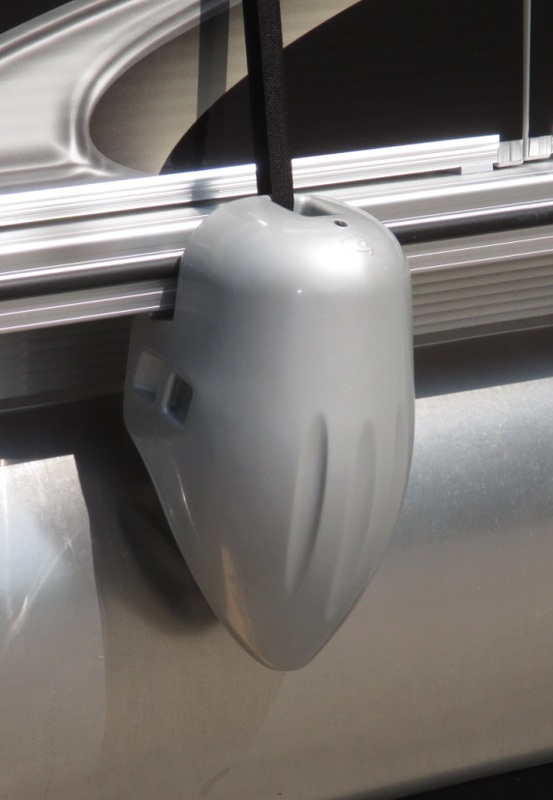 Exclusively designed for the needs of Pontoon Boaters, these unique fenders offer a level of protection to areas on the Pontoon boat other fenders can't provide. The Pontoon Fender is specifically designed to fit snugly between the pontoon and the deck of the boat, protecting both from rafting boats, docks, or other objects. All pontoon fenders are made from our own marine-grade, U.V. resistant vinyl and have an integrated rubber football style valve for easy inflation.